Today is the day that we get Osamu Tezuka’s Metropolis on Blu-ray, a rather nifty combo Steelbook release from Eureka Entertainment. You have to pity the poor Americans though. Not only do they get President Trump this week, but they also got the announcement regarding their Metropolis Blu-ray. It isn’t good. Sony have partnered with Amazon to run off BD-Rs of Metropolis on demand. On anime forums you can read messages from US fans pledging to buy a region free Blu-ray player and import the UK release instead. That Limited Edition Steelbook probably just got a whole lot more limited! I watched Death Note again for the fifth time, this time to review it on Blu-ray, and the perils of repeat viewing are apparent in my review. Take last night’s Sherlock for example, a great thrill ride of a series climax to go out on, but even as the end credits rolled, nits were being picked and loose plot threads were being pulled. It’s the peril of event TV, where the immediate spectacle outweighs the longevity. Death Note is just like that. It’s an epic, brilliant show to watch the first time, but subsequent viewings are less rewarding and more problematic. Read more as to why in the review. I got One Piece Collection 14 a little late this time around, but I wasn’t going to miss out on the further adventures of Luffy and his crew. The ongoing story of the boy who would be pirate king is one of the highlights of the shonen calendar, and surprisingly even after 300 episodes, One Piece is more consistent than its rivals such as Naruto. Take Part 14 for example. This one kicks off with half a collection of filler, before getting back to the canon storyline and the island with the zombies. Spooky is probably my least favourite genre in anime, but even with filler and zombies, One Piece Collection 14 is still entertaining. Then it was time to dip into my own collection, as I reviewed The Pet Girl of Sakurasou: Complete Series. It’s a high school romantic comedy, which instantly engenders the question, what’s different about it, and different enough to make it worth buying? Pet Girl has some similarities to the classic Honey and Clover. It too features a female object of affection who is an artist light on social skills, and it isn’t long before the show’s male protagonist is smitten. But unlike Honey and Clover, Pet Girl is told in a more modern style, hitting the appropriate otaku sating notes. But it still manages to step outside of the box, after all, it’s a story about quirky and eccentric outsiders set in a nation where societal conformity is the ideal. It’s got great characters, and it genuinely entertains. IGPX: Immortal Grand Prix. It’s Formula 1 with giant battling, transforming robots! What could go wrong? When you consider that I bought the collector’s edition boxsets for this show for just £6, something really did go wrong. 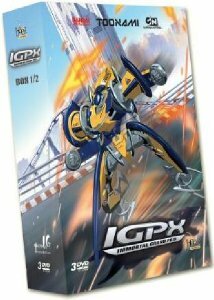 IGPX was made at the height of the anime bubble. It was a collaboration between Toonami and Production IG, and it had some serious money thrown at the animation in Japan, with some of the best 2D and 3D animation that has graced a television show. It also had some serious money thrown at the English dub in the US, with a dub cast including Mark Hamill, Lance Henriksen, Michelle Rodriguez, and Haley Joel Osment. This was supposed to be the standard bearer for the Cartoon Network, but alas like most trans-Pacific anime collaborations, it just wasn’t anime enough for the anime fans, and it was too quirky for those looking for cartoons. As for the show itself, it looks really great, the race sequences are some of the most enjoyable in animation, inventive and stylish, while the music soundtrack is one of the best. The problem comes in the story and the characterisations, which to put it mildly are just bland. Beez originally released the show on single volumes and split into two collector’s editions, and even though the company is gone, the disc deleted, you can still find copies for sale on line, some new, most second hand, an indication of the IGPX effect. Here’s my review for the first half. Last year, Discotek Media rescued the license for the US, and issued a new release for the show, giving it a second chance on DVD. Be careful which version you import, as they’ve released the uncut version and the Toonami version separately. 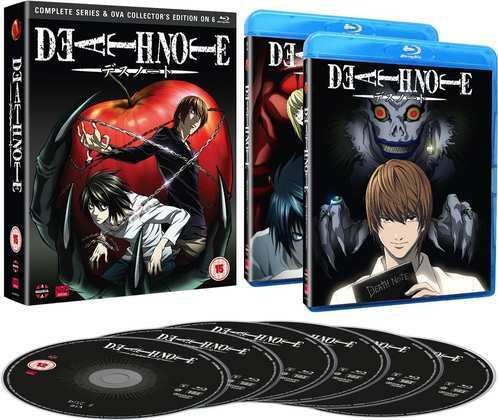 Manga Entertainment released the Death Note Complete Series and OVA Collection on Blu-ray at the end of last year, December 16th 2016. 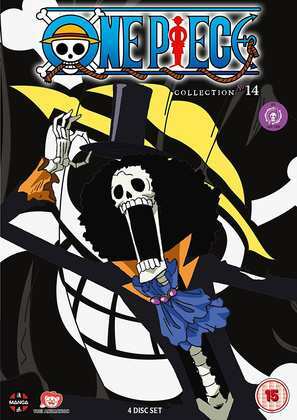 They also released One Piece Uncut: Collection 14 on DVD back on November 28th. 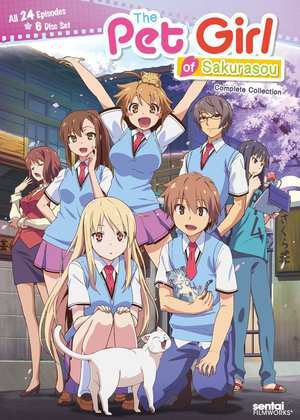 Sentai Filmworks released The Pet Girl of Sakurasou: The Complete Series on DVD and on Region A locked Blu-ray back in 2015, following an early couple of half season releases.